This assessment should be utilized post-reading. 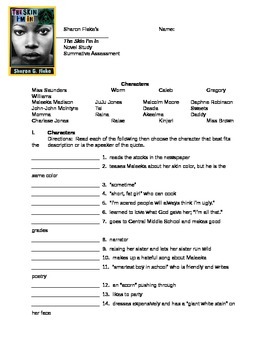 It contains 52 questions including character identification, true/false, quote identification, and many short answer questions. It is aligned with Common Core standards and tests comprehension skills, analysis skills, and finding evidence in the text.